Gaza - The United Nations agency that looks after Palestinian refugees said on Tuesday it had found a cache of rockets at one of its schools in the Gaza Strip and deplored those who had put them there. United Nations Relief and Works Agency (UNRWA) spokesman Chris Gunness condemned those responsible for placing civilians in harm’s way by storing the rockets at the school but he did not specifically blame any particular party. “We condemn the group or groups who endangered civilians by placing these munitions in our school. This is yet another flagrant violation of the neutrality of our premises. We call on all the warring parties to respect the inviolability of U.N. property,” Gunness said in a statement. Israel has targeted a few UNRWA sites during fighting in the current 22-day-old campaign against Islamist militants in the Gaza Strip, and has in the past said the agency’s property was used for hostile purposes. Over 1,200 Palestinians, mostly civilians and 53 Israeli soldiers have been killed in the fighting as Israel attempts to neutralize the threat of militant attacks and rocket fire on its territory. 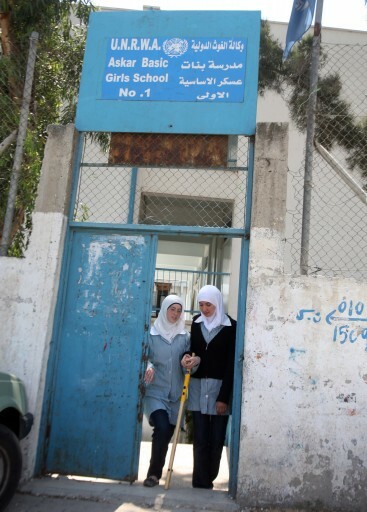 U.N. Secretary-General Ban Ki-moon last week expressed alarm at the discovery of 20 rockets at a vacant UNRWA school and at another school a week before that. Gunness said the body had called in a U.N munitions expert to dispose of the rockets and make the school premises safe, and added that he could not get to the site due to fighting in the area. Hm, I wonder who would have done that? Were they again turned over to the Hamas police? "We call on all the warring parties to respect the inviolability of U.N. property"
Huh, as if Israel put it there. They then return it to the the "authorities" . The Israeli Nation is in the third week of this very violent war. All we see and hear is Hamas members instigating terrible violence against the Israeli populace. The alleged experts in Israel are claiming that this war is to destroy the tunnels. However, the Israeli government is only sacrificing their youth for a war that the initially KNEW that nothing can be accomplished.. Even if they do destroy tunnels, it does not solve the long term problem of a Terrorist Group in their midst. These wars are dangerous for the worldwide Jewry, the Muslim world in its entirety are turning against Jews on a worldwide scale. Jews should stop heatedly proclaiming to wipe out Gaza and all related gibberish, it is ruining Klal Yisral. where's a statement by Ban ki-Moon, the Human Rights chief, the US President???? Well DUH i wonder who stored rockets in my school when I wasn't looking? Does anyone need more proof of the vile anti semitism of the UN? This is at least the 3rd time they've found Hamas rockets in their schools, and not only do they refuse to name Hamas as the culprit, much less condemn them, instead they continue to only point out how many Gazan "civilians" (complicit I. Terror by electing a terrorist group to be their government) and condemn Israel! This irrelevant hateful and biased body needs to be dismantled and thrown out. Sorry, my bad. I'm trying to clean out the closets and had no other place to store my rockets. “ The Israeli Nation is in the third week of this very violent war. All we see and hear is Hamas members instigating terrible violence against the Israeli populace. Try LIVING HERE, you idiot. Try running into shelters & in many cases, living in them. Watch your businesses die, your kids traumatized & your lives irrevocably damaged. Watch brave soldiers being blown to bits or shot by snipers. And SHUT UP because you don't know zilch about what our brothers & sisters, sons & daughters, are going through. You are just another armchair critic. One other thing...don't you dare tell us to keep quiet. It's none of your business, you don't live in Israel. Go back to your nice cozy home & do us all a favor - don't say one more word. Genuine Jew? not a chance. "Jews should stop heatedly proclaiming to wipe out Gaza and all related gibberish, it is ruining Klal Yisral. " Exactly, we know from history that just living on our knees and begging the latest Amelek for their mercy will end up being the best for klal Yisrael. You would have probably been running the judenrat, helping the nazis, y'mach schmo. Based on what UNRWA is describing, it sounds like the Norwegians did it. Doesn't this make the UN a collaborator with the terrorists?